McKenna Preteen Summary from 9.5 to 9 years 9 months old. 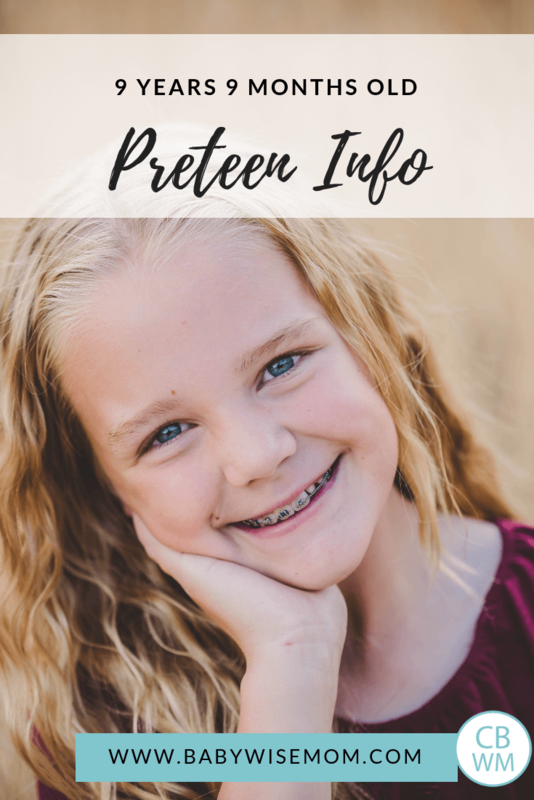 Preteen girl information and schedule. The life of a nine year old preteen girl. Eating is great. McKenna has always been a great eater and eat has rarely been an area of concern in her life. Sleep is great. We still have her use a timer before bed so she doesn’t stay up too late reading. McKenna is definitely a person who gets absorbed in what she is doing and can lose track of time. This can be a great quality, but there are times this is a weakness or a problem rather than a benefit. When she needs to go to bed instead of read, that is a problem. When she gets focused on cleaning her room perfectly instead of getting ready for school, that is a problem. 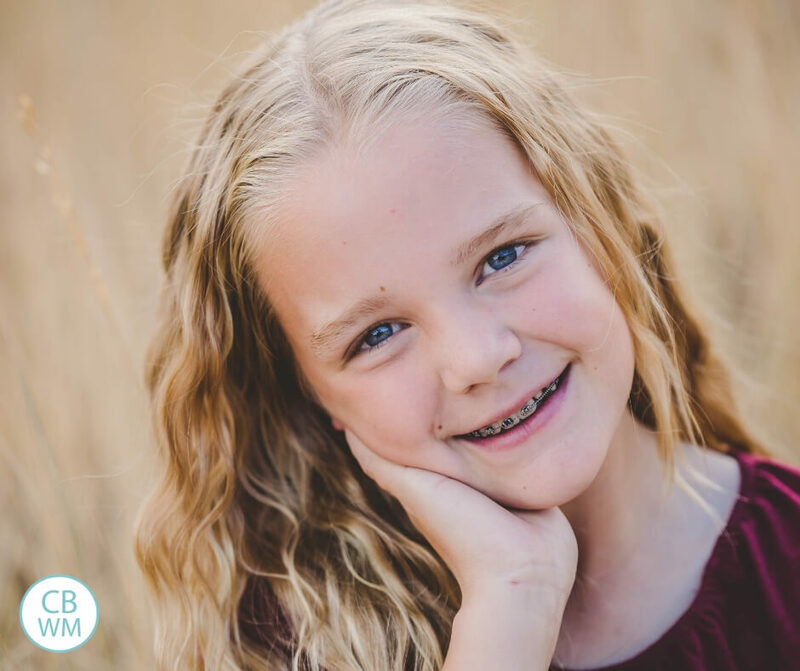 As a nine year old, McKenna started having some anxiety about death and dying. She has been able to manage this well. Every once in a while, she will start talking about her list of “what ifs.” Then she will say, “Brain, why are you thinking about that? Knock it off!” So it still happens at times. I recently posted an article on the Deseret News about her experience with anxiety. We do not count it as over and a thing of the past. We are mindful and aware it could come back any moment. McKenna has loved being in the gifted and talented program and is having a lot of fun with that. It is going well. Here are the photos for McKenna for this last quarter. School is going great! Fourth grade is often a year that is hard for girls socially. Girls will often start having “mean girl” stuff for the first time. She hasn’t had those issues at this point. The other day she asked Kaitlyn how she decides who to play with at recess. She told Kaitlyn that she has so many different friends who want to do different things and she can’t be with all of them every recess and that is hard. She does have divers types of friends. Some of her friends are very athletic and want to be very active at recess. Some are more on the artistic side and like to create things at recess. Some like to just sit and talk at recess. Then you have everything in between. I love that she has so many friends she loves. I think it is cute she is worried about how to do things with all of them. I am sure it is a real struggle and it might even be a struggle that becomes an issue. Sometimes people can be offended if you choose to do something other than be with them, and as they get older, I am sure that will be more of an issue. Here are the activities McKenna participated in during this time period. Soccer: She had one month of just soccer practices. Then they took time off after that. Basketball: McKenna played rec basketball during this time. She enjoys any sport she plays, so she had fun. Piano: She had piano lessons and a piano recital during this time. If you have a daughter this age, it is not uncommon for signs of puberty to start. McKenna has not had those going on. But watch for those in your daughter. Here is her typical school day schedule. 7:00–wake up. Get ready for school. Practice piano. Personal scripture study. 4:00–home. Homework if there is any. Chores. Free time/time with siblings/independent play, etc. 7:30–get ready for bed. Family scriptures and prayer.